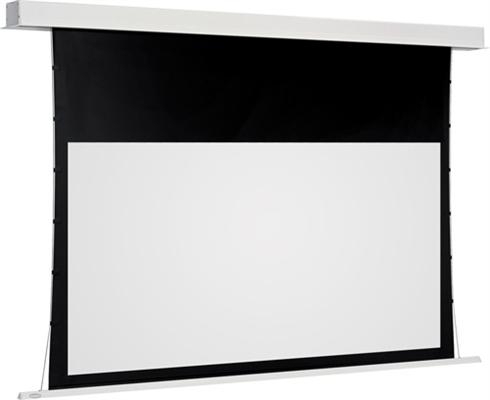 The Draper Euroscreen Sesame 2.1 is the Euroscreen’s award winning model with an innovative recessed ceiling case design for installation within a ceiling void, suitable for installation in suspended or plastered ceilings. Once more it has been upgraded to complete the innovative screen design with adjustable inner brackets which allow for fine-tune of bottom dowel for perfectly flush closure when retracted up into case. 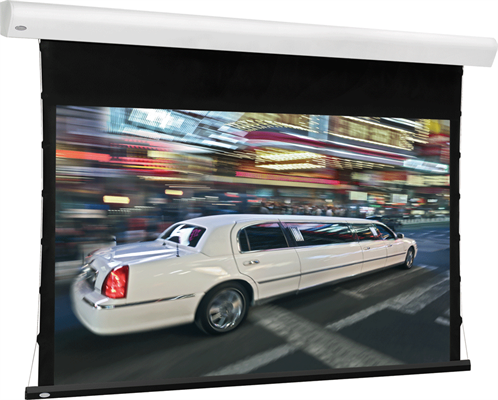 The white aluminium Draper Euroscreen Sesame case itself has a stylish appearance and unique removable integrated external flange profiles for easy and quick service access. The case also features a concealed drop function of the complete screen section which enable for easy access to install case first and screen later. Brackets especially designed for Sesame 2.1 provides a trouble-free installation of the case in a prepared ceiling cut-out up to a 100 cm ceiling void. 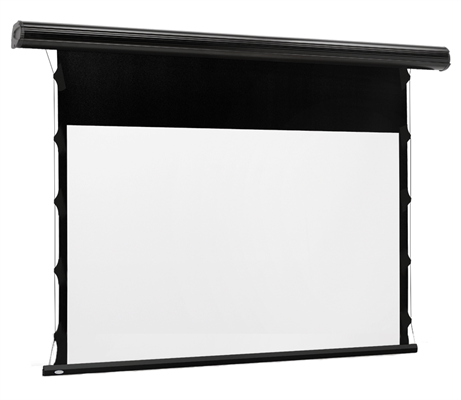 The tensioning function provides Draper Euroscreen Sesame 2.1 with a flat viewing surface, and the surface flatness can be adjusted after time if needed. 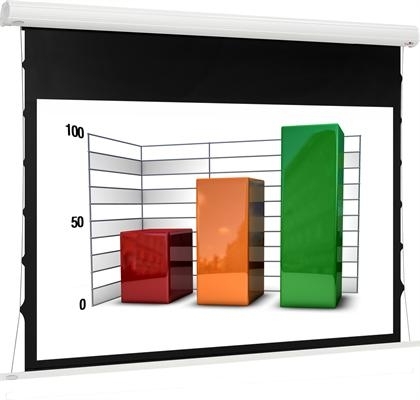 This feature, together with the concealing design of the model, makes it very popular in conference rooms where high technology Short Throw projectors are common and among home theatre enthusiasts where full HD projectors are used.